It’s impossible to know for sure how well you’re doing on your search engine optimization by doing a few searches. We’ve seen some of the worst optimized pages show up for a few good keywords, the ones that their SEO firm focused on to prove their value. Unfortunately, they weren’t seeing more traffic, leads, or sales from the efforts. It doesn’t have to be like that. Sometimes, the first step is to request a complete search marketing analysis. At Dealer Authority, we put in the effort to see exactly what you’re doing, what those who have optimized your site in the past have done, and what can be done to improve the results. It’s possible that we could find that your SEO is in good working order and doing its job properly. We just don’t come across that circumstance very often. 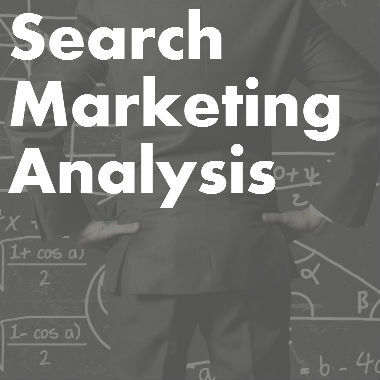 Fill out the form below and request a search marketing analysis. The overview is free. From there, you can decide if you want to take it to the next level and have a complete SEO roadmap built for you that you can use yourself or give to your SEO provider with required changes, strategies to implement, and techniques to adjust.